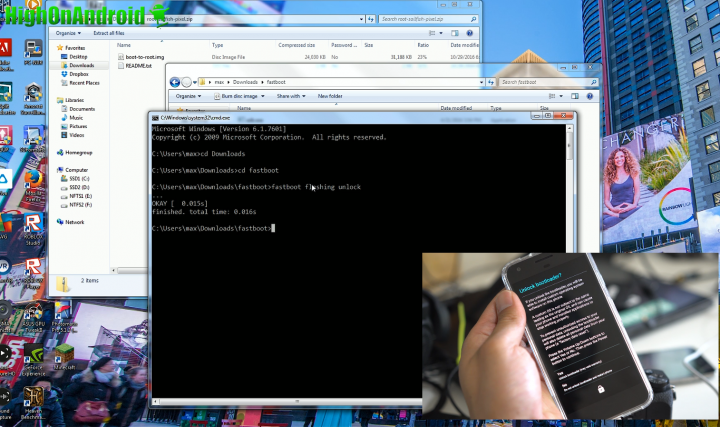 Rooting involves unlocking the bootloader. Unlocking the bootloader will wipe EVERYTHING on your phone so please BACKUP everything beforehand! This root method will work on all Windows, Mac, Linux, or Chromebook. While the video tutorial is made with Windows, you can substitute the commands for Mac, Linux, or Chromebook below easily. Drivers are only required for Windows computers so if you have Mac, Linux, or Chromebook, please skip the driver installation step. This root method will work on Android 7.1 and 7.1.1. If your Android version is not listed, please do not follow the tutorial. 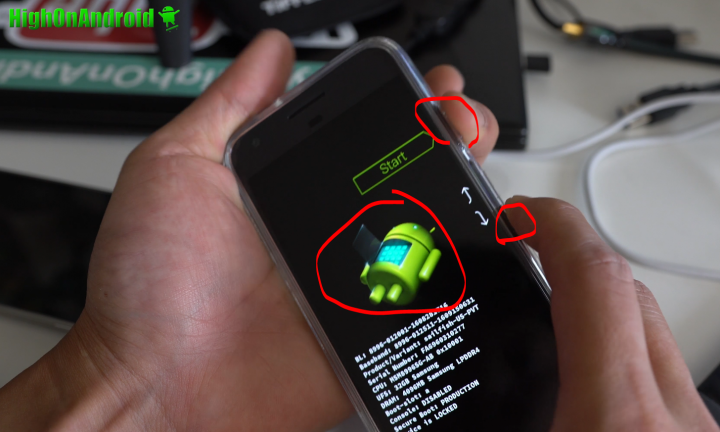 For Verizon Pixel or Pixel XL models, follow these instructions to unlock your bootloader then go to Step 9. 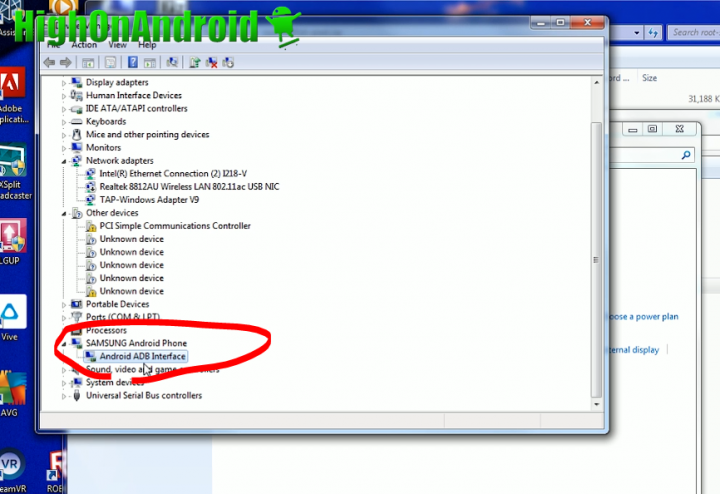 Android USB Drivers for Windows – This is ONLY for Windows, you do not need drivers for other OS. Boot image for Rooting for Pixel (root-sailfish-pixel.zip) – If you have Pixel, download this. Boot image for Rooting for Pixel XL (root-marlin-pixelxl.zip) – If you have Pixel XL, download this. fastboot.zip – These are fastboot.zip files for all Windows, Mac or Linux. 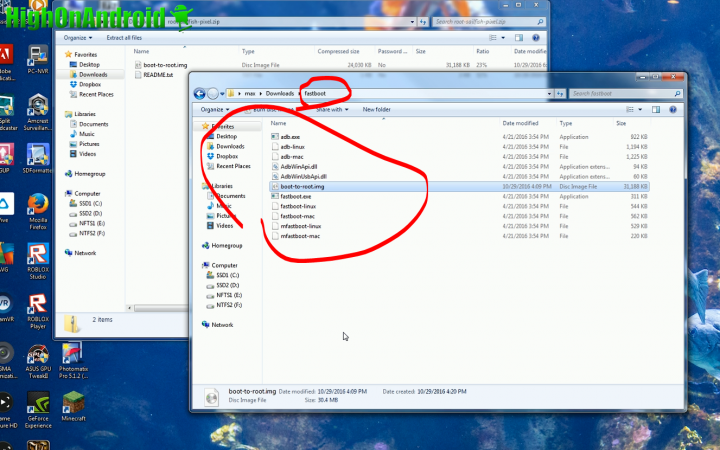 Unzip the USB drivers into “usb_driver” folder and fastboot.zip into “fastboot” folder in your Downloads directory. 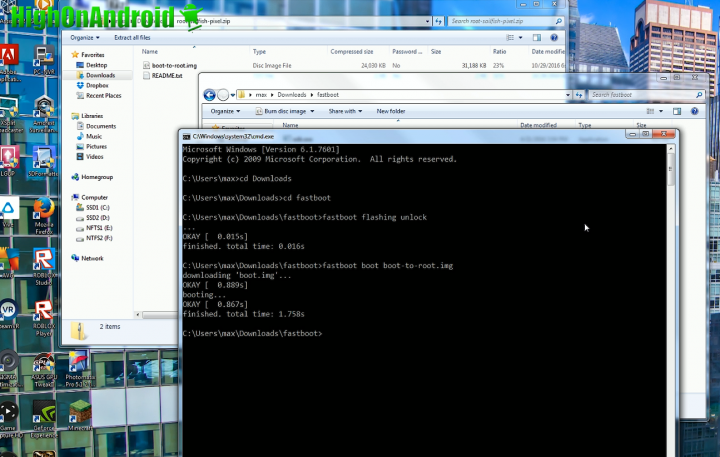 Also unzip the boot image and copy the file “boot-to-root.img” into the “fastboot” folder. Step 2. Tap on the back button once, then tap on “Developer options”. Step 3. Make sure “OEM unlocking” is checked ON. Step 4. Power off your Pixel or Pixel XL. Then hold down Volume Down and Power buttons together for about 5-7 seconds until you see the bootloader menu (where the Android lies belly up). Step 5. 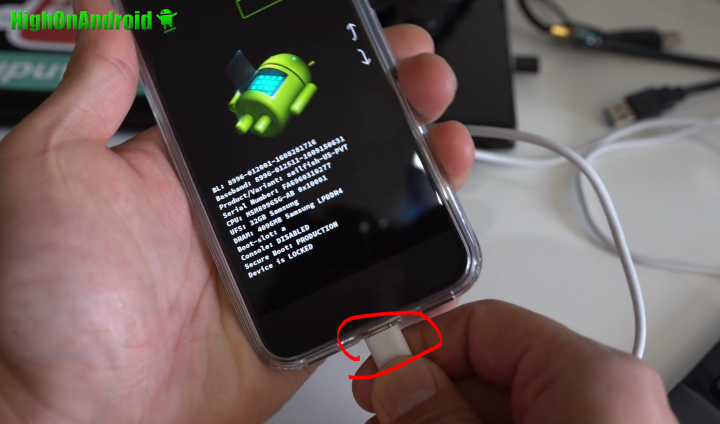 Connect a USB Type C cable from your phone to your computer. Step 6. For Windows, install the drivers. If you do not know how to do this, watch the video tutorial. No drivers are required for Mac, Linux, and Chromebook. Step 8. 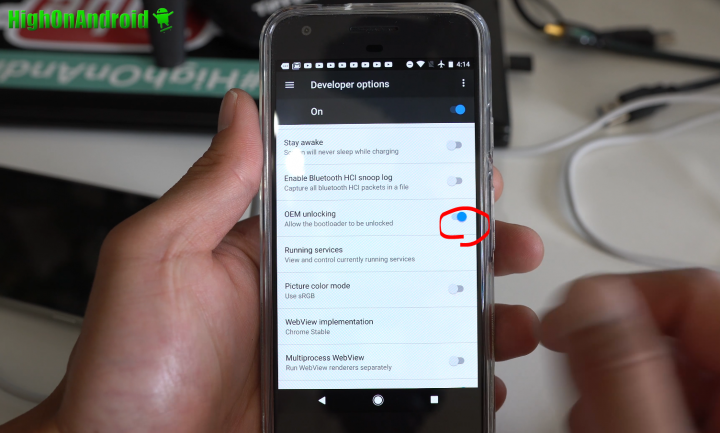 Go to your Pixel or Pixel XL screen, use the Volume keys to select “Yes” then hit the Power key. Your phone should reboot into bootloader mode. Step 10. Your phone will reboot. After rebooting, sign into your phone. Step 11. If you do not see SuperSU app in your app drawer, put it back into bootloader mode (repeat Step 4-5) then redo Step 9. You should see SuperSU on the second try if it didn’t work first time. Step 12. Open the SuperSU app and if you don’t get any errors, you have successfully rooted your Pixel or Pixel XL! Congrats! Step 13. 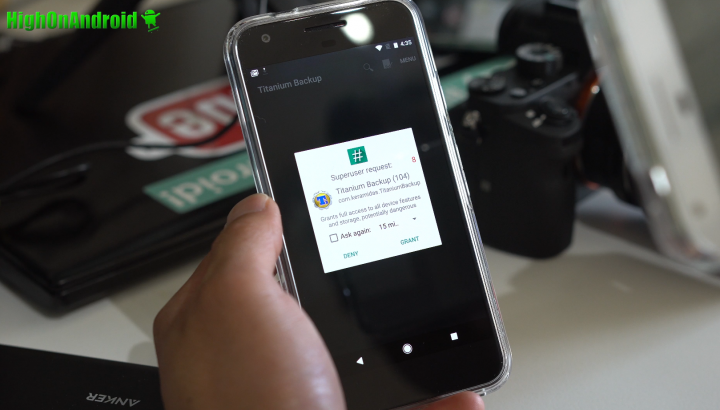 You can verify you have full root by installing and running any rooted app like Titanium Backup app. You should see a Superuser request window pop up. Credits – Huge thanks to ChainFire who made this root possible so quickly. If you appreciate his work, please buy him a beer here. 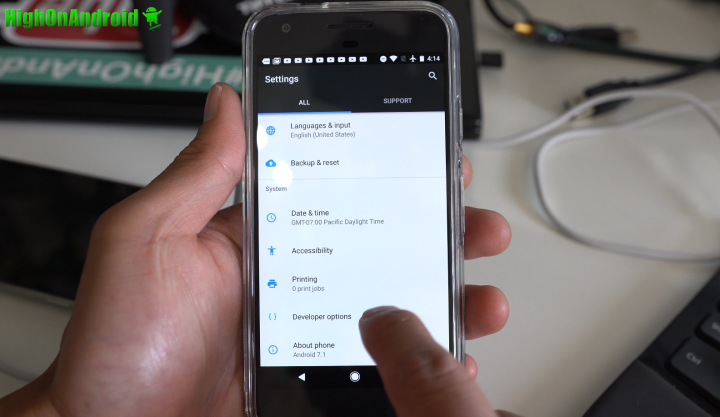 ChainFire has done so much for the Android root community and we can’t thank him enough that he still makes root possible for many different Android smartphones. Q: Will rooting void my Pixel or Pixel XL warranty? 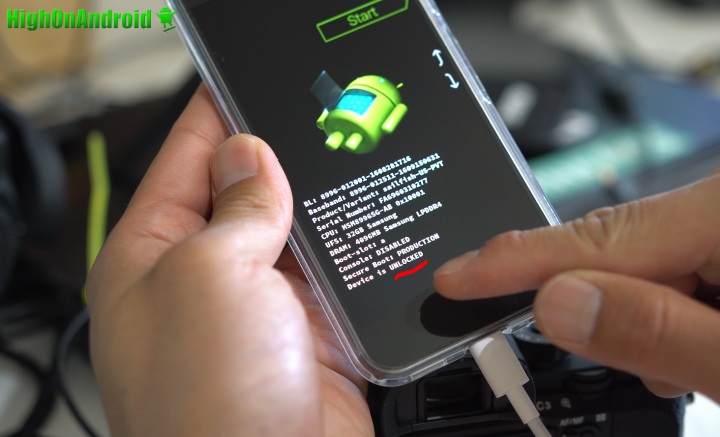 A: You can always relock your bootloader using commands “fastboot flashing lock” which will “unvoid” your warranty. We are not sure on Google stance for Pixel or Pixel XL phones yet but we “think” it’s okay as it has been in the past. Q: Why should I root my Pixel or Pixel XL? 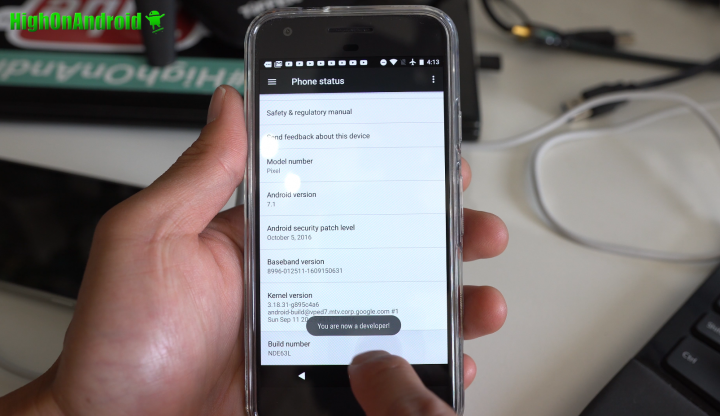 A: Google phones like Nexus phones have been designed so users can customize with root and custom ROMs. While Google gives the user excellent UI, it’s usually very plain and dull with no extra features. 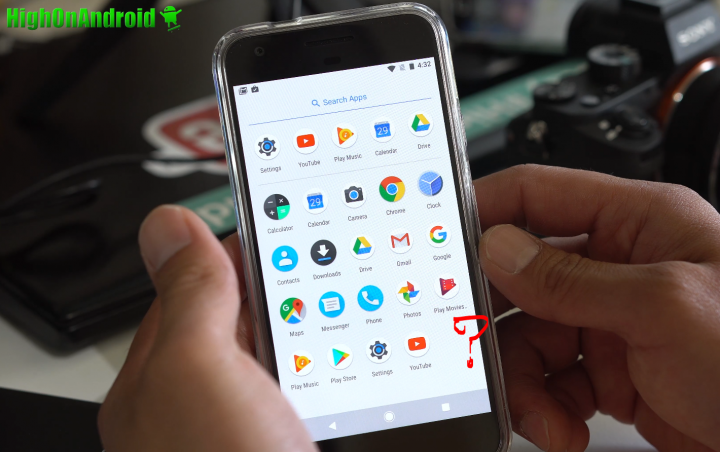 That’s where rooting and custom ROMs come in so you can customize your status bar, navigation bar, tweak sound using Viper4Audio, and the list goes on. If you bought a Pixel or Pixel XL and you don’t root it, you are missing out on 99% of what is good with these phones. 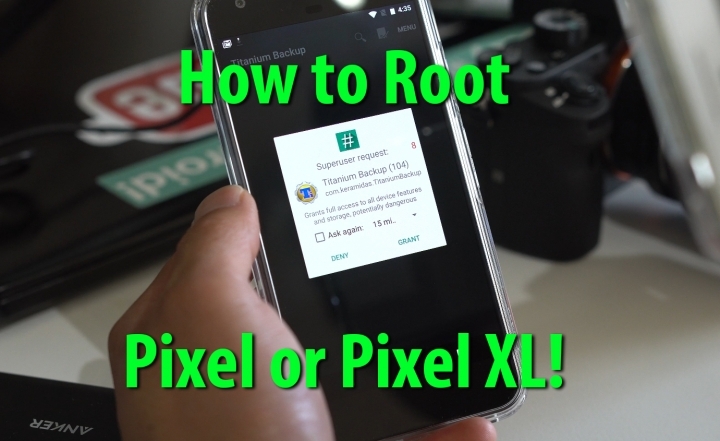 Q: Can I “unroot” my Pixel or Pixel XL? A: Yes, you can easily reinstall stock firmware using ADB sideload or using Nexus firmware files and fastboot. 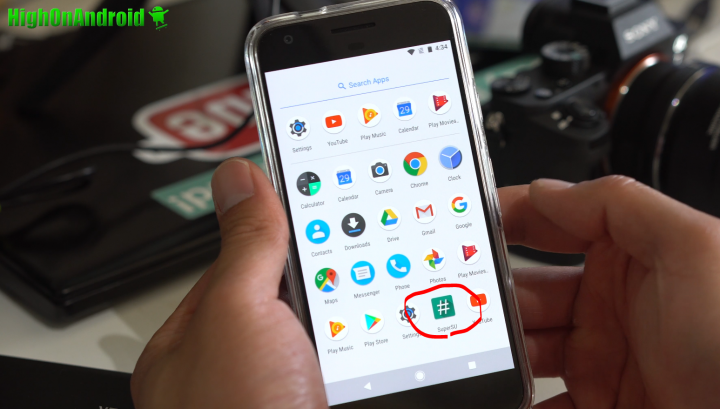 It’s very easy to unroot your Pixel or Pixel XL, we should have a full step-by-step tutorial right here at Howto.HighonAndroid.com! Q: What should I root? A: See our video explanation here. I unlocked and rooted my new Pixel XL today. When I was testing the Google Assistant, a message ‘System UI has stopped’ appeared, I selected ‘Close app’, the message appeared again, then repeat. I could do nothing. I tried to reboot the phone, factory reset, un-unlock, unlock, nothing worked. Now I root the phone, it stays on the ‘let’s go’ page with the message ‘System UI has stopped’. I have the same error help please! @niko26, I experienced the same issues at 15% charge i.e. The system UI has stopped message. I put my pixel on charging and it started working. Also, you can wipe the dalvik cache for a temporary fix to avoid future crashes. Hey Max, any chance on getting pokemon go to play on this after having rooted? @Fido, I read about issues when the battery drops below a certain threshold (15% IIRC). Can you confirm your battery charge level is higher?